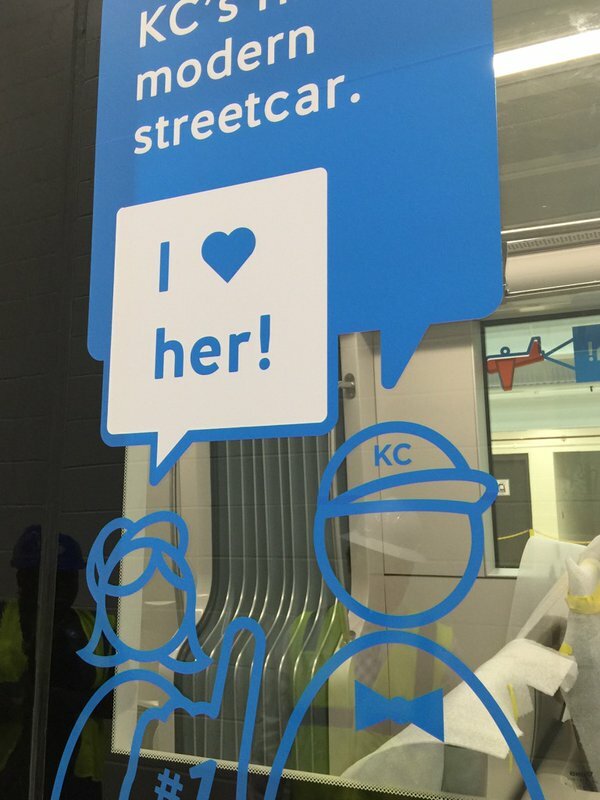 A behind the scenes glimpse of what went into the creation of the KC Streetcar brand. Kansas City’s first modern streetcar made its debut today. It will be traveling up and down the tracks for a few months to get acquainted with our fine city before the first passengers board in the spring. We’re jumping up and down because this is the moment we’ve been waiting (and working) for since we began down the streetcar branding track two years ago. 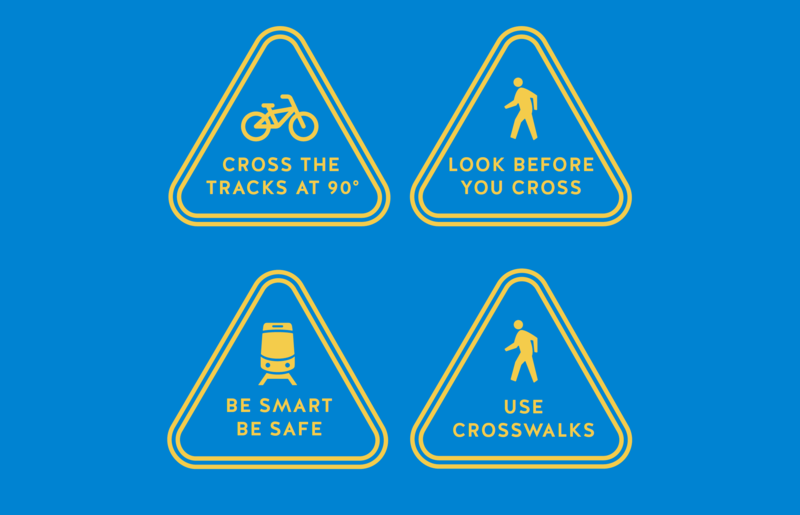 In January of 2014, Willoughby was chosen by the Kansas City Streetcar Authority to create the brand identity system for the streetcar. Simultaneously, we engaged with the Kansas City Area Transportation Authority to develop a new regional brand. Because we knew the streetcar would be a pivotal addition to the regional system, it was important to make sure that it integrated with the day-to-day transportation environment that was also going through a unification. So we traveled down parallel paths to create two brands that would need to stand alone through different timelines, stakeholders and approval processes but, at the end of the day, would need to stand together with a strong and united message. We began by examining best practices in transportation design around the world, researching successes and failures alike, to discover what could work (and not work) for Kansas City. 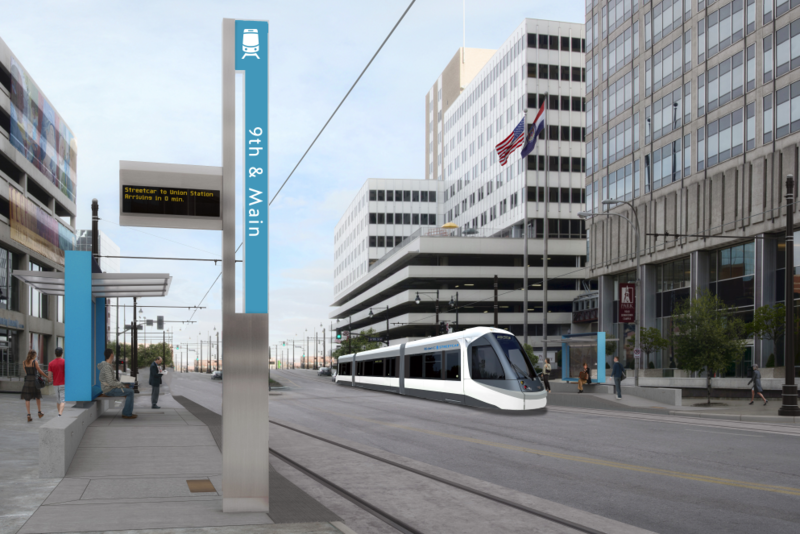 We consulted with many of our city’s longtime advocates who have been working to bring a streetcar to KC for decades. Not surprisingly, we all agreed that the most successfully branded systems were intuitive, flexible, memorable and simple. We found inspiration in some of Kansas City’s newest jewels: the stunning and modern Bloch building at the Nelson-Atkins Museum and the majestic Kauffman Center for the Performing Arts. Both are timeless, sophisticated, progressive and confident. Other consumer products that exude this feeling use a similar white and silver color palette, such as American Express Platinum and the iPhone. With this in mind, we designed the exterior finish pattern to be sleek like a luxury train. The pearl, silver and graphite color palette completes the look, creating a modern canvas for the energy and creativity that will surround it. The interior color palette, cobalt blue and silver, gives a nod to the Metro blue that is familiar to current riders and works to help unite the streetcar with the regional system. Simple iconography appears in almost every transportation system worldwide. It’s a proven universal wayfinding tool for identifying transportation. 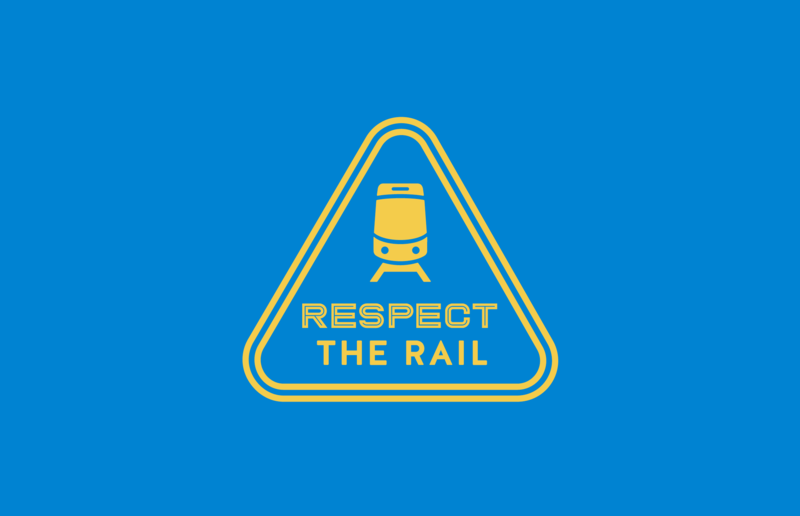 So we started with the universal icon for rail transit and then modified it to feel more like our streetcar. It even has a friendly smile. KC Streetcar was the name that had been in use since the concept was introduced to the community. We could have called it the Super Sonic Rocket Rail or the KC Electric Jazz. But is a “cool” name worth the confusion it might cause for riders trying to navigate the system? 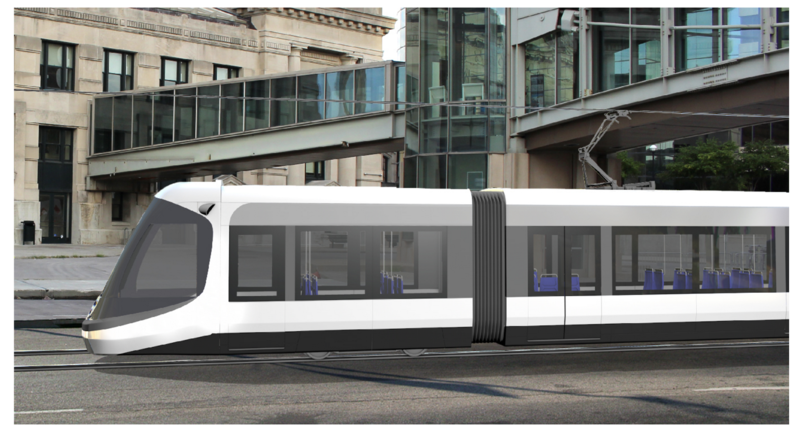 Would it really catch on or would people just keep calling it the streetcar? We also didn’t want to feed into the notion that the streetcar was a novelty or the tram at an amusement park. Instead, it is a big step towards a sea change in public transportation in Kansas City. After much consideration of many other naming possibilities, we determined that the name KC Streetcar wasn’t broken. It did all of the things that it needed to do in a classic, intuitive and simple way. The need to maintain a simple name for the streetcar became even more obvious when considering its relationship with the Regional Brand. We tried hundreds of regional names from acronyms like GKCT (Greater Kansas City Transit) or HRT (Heartland Transit) to elevating the Metro name or the Connex name. But nothing felt very memorable. RideKC was put into play as a possibility very early in the process and it consistently rose to the top in conversations. We are one of only a few US cities that is immediately identifiable by two letters: LA, DC, KC. So why not embrace it? It extends the KC nomenclature that has been growing as a regional identifier since fans started cheering on the KC Royals, KC Chiefs and more recently Sporting KC. The KC name is also used for regional organizations like the KCADC, Visit KC and KC Chamber. It is an action phrase that reflects exactly what the rider is looking for: catching a ride around the greater Kansas City area. The proposed regional brand and the streetcar brand pair succinctly together for one unified rider message: RideKC Streetcar. This system also extends to other modes of transit. Once we had the name and primary mark finalized and the fleet design complete, it was time to think about how the brand identity system would extend to create excitement and engage the community. We moved on to the design of the streetcar stops and the wayfinding signage. We also brought out the personality in our universally-inspired icon. The simplicity of the streetcar icon means it can become a favicon adaptable to any situation or event. The heart was added to draw on the growing culture of KC love and our heartland heritage. In honor of the KC Royals 2015 World Series victory, she was even crowned. 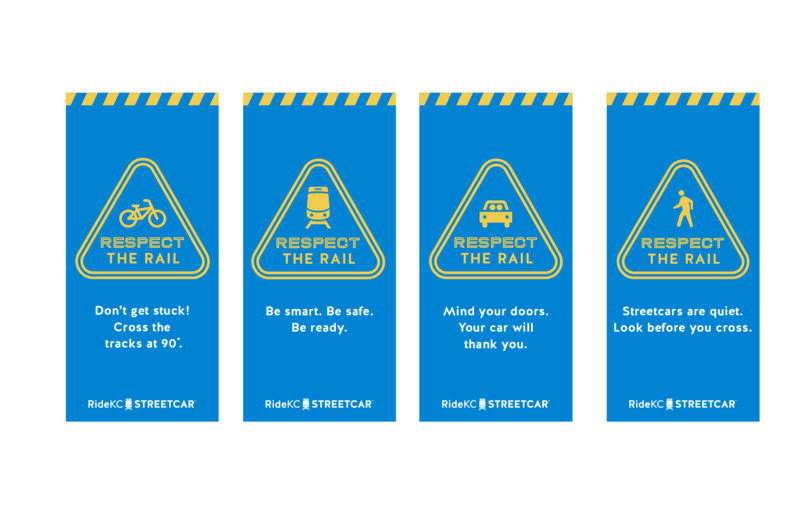 The safety campaign came next to help Kansas Citians get ready to share the road with the streetcar. And, most recently, because every test run needs test passengers, we created some window people to tell future riders why they can’t ride yet and what is being tested. We are so proud to have been able to help usher in this new era of public transportation to our city. Kansas City is being noticed all around the world for our quality of life, our arts and culture and now for our vision. We would like to thank the thousands of people who have worked so hard to make this vision a reality and the streetcar leaders who put their trust in us to bring the brand to life.